An undiscovered painting and the fascinating world of fine art auctions star in this riveting story, based on true accounts and experiences the author had during more than 40 years of attending, bidding and selling at auctions in the United States and Europe. When the story begins in 1939 in Munich, a feared SS officer has stopped at the home of a banker and art collector, who has traded his collection of Impressionist paintings by Monet, Renoir, Degas and others to Reichsmarshall Herman Goering in exchange for safe passage for his children to leave Nazi Germany. Only one painting is left behind – a self-portrait by Vincent Van Gogh. Fast-forward a few years to spring 1945 in Munich, which Allied bombing has turned into a wasteland. But some treasure remains – U.S. Army sergeant Henry Dryden, looking for weapons, finds and takes the portrait. It lies hidden in his closet for half a century until he asks his grandson to determine if it’s genuine and, if so, to sell it. 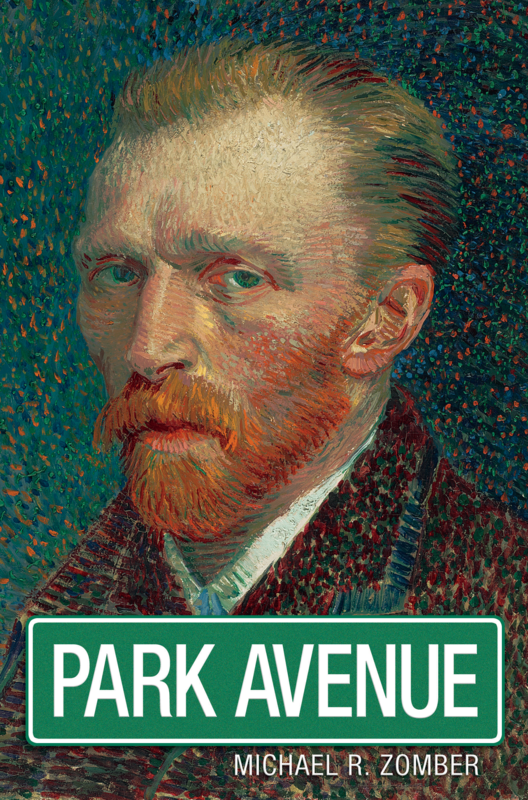 Park Avenue provides a detailed, thrilling look at the inside world of art auctions even as it tells the ageless story of the search for wealth and luxury. The glittering world of fine art auctions entices rich and powerful men and women, who play for the highest stakes imaginable. The son of Holocaust survivors who escaped Nazi Germany in 1939, author Michael Zomber earned a master’s degree in English literature from UCLA. He began following the world of art auctions in 1961, when Parke Bernet Galleries sold Rembrandt’s “Aristotle Contemplating the Bust of Homer” to the Metropolitan Museum of Art for a world-record price. His grandfather, Robert Eisner, collected paintings by the Impressionist masters. Christopher Lynch was one of the long-term unemployed in Kalamazoo, Michigan, when he saw a small want ad for a job with the FBI. Months later, he started in the mailroom at FBI Headquarters in Washington, D.C.; thirty years later, he left the CIA as a senior counterintelligence officer. The years that passed between these two posts make up the story told in The C.I. 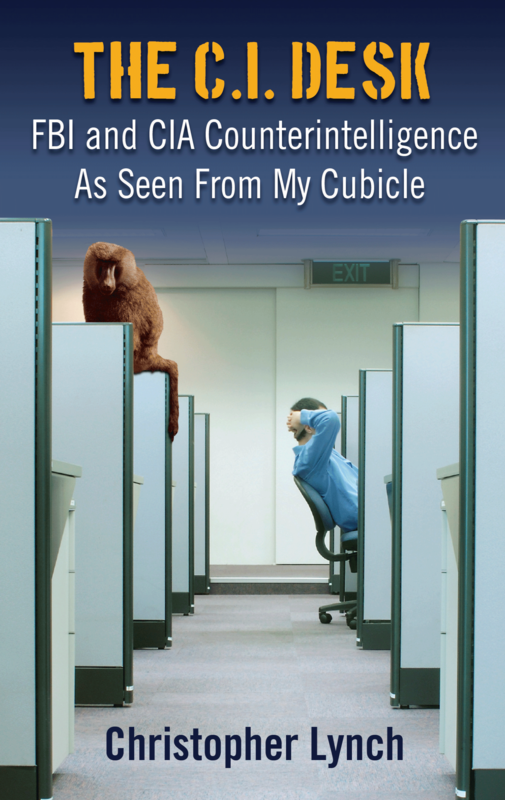 Desk: Counterintelligence As Seen From My Cubicle. Lynch spent these years on the job absorbing and observing the arcane culture of counterintelligence as practiced by the U.S. and its adversaries. Lynch’s work at the FBI focused especially on a KGB officer handled in the field as an “in place” penetration of Soviet intelligence. As the years went by, FBI agents and coworkers frequently tapped him as a knowledgeable resource on KGB operations, practices, and personnel, and he was assigned projects that valued his “fresh looks” at FBI CI targeting. Eventually, Lynch came to be supervised by Robert P. Hanssen, whose spying exposed the KGB officer’s cooperation with the United States, leading to the latter’s imprisonment in the Soviet gulag. When Lynch made his move to the CIA, his specialties eventually included analysis of CIA operational tradecraft and detecting hostile control for cases that spanned the globe. He worked on operations involving defectors, double agents, and traitors, and was a part of several closed door “special projects” in counterintelligence and counterespionage. Georgia and Bentley fall in love in the spring of 1908 in the Blue Ridge Mountains. Neither has an inkling of how their relationship, tinged with betrayal, will ripple through lives for generations. Some say that God sculpted the magnificent mountain summits that make up the Blue Ridge Mountains, but if that’s the case, how can He turn His back when young women begin to disappear and a serial killer runs rampant? 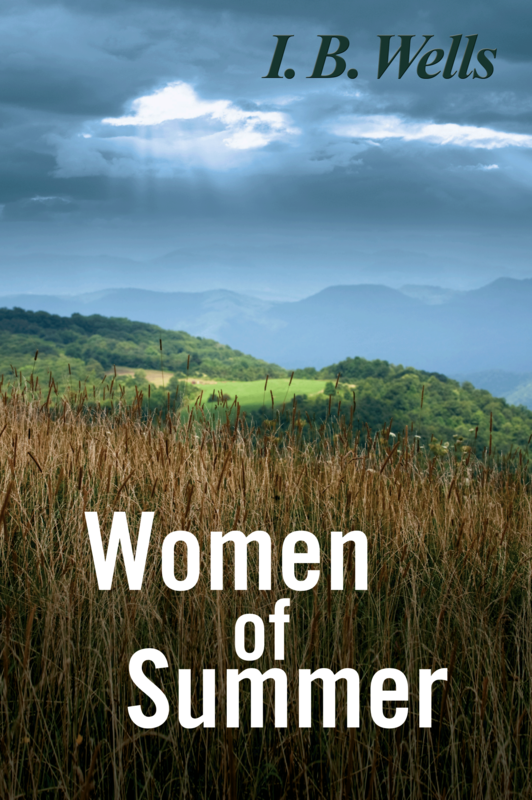 Women of Summer, published by Dog Ear Publishing, follows the spellbinding story of a courageous sheriff determined to solve these senseless crimes, set against the backdrop of the blue-misted mountains. The killer, driven by a deviant motive only he can understand, leaves behind a grotesque scene each time he murders an innocent girl. The tension in town mounts with each killing, forcing the sheriff to his physical and psychological limits before the killer strikes again. This thriller combines nail-biting suspense with a tragic love story before the book’s heart-racing conclusion. I.B. Wells was an FBI agent for 26 years before writing this book. This English major from Virginia Military Institute is a son of the Blue Ridge. He and his wife have two grown sons and live in Virginia Beach. Sam Meade’s life isn’t going quite as well as he’d planned. His job was eliminated when the Depot closed, and his too-brief marriage ended shortly after, when his wife left town to find work. His father passed away, and his mother left his lifelong home to work in a convent. Just when things seemed that they would never get better, his high school sweetheart, Rita, returned to town. Convenient Access Road, the sole novella in the collection, is the story of the sea change that Sam’s life undergoes as he is confronted with feelings from his past and changes in the town’s landscape. Portrait of an Egyptian Woman tells the story of a student’s reminiscence about his recently-deceased and very influential professor, and the time they spent together in the professor’s family home. Retro Suit is a charming vignette about a woman finding support and comfort among other women in her community, and the loving relationship that can be found within marriage. The collection ends with The Napoleon Chair, a lovely story about a cancer survivor’s photo session with her beloved husband. Each story is lovingly and carefully crafted, and contains truths about people you could meet anywhere. 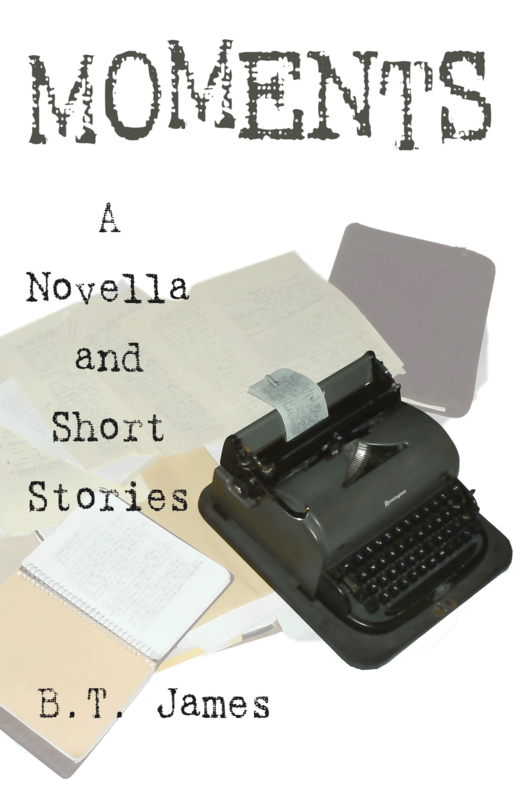 Moments: A Novella and Short Stories, published by Dog Ear Publishing, proves that good things come in small packages. Author B.T. James manages to put a lot of feeling into a few carefully-chosen words. James lives in Harrisburg, PA, with his wife and two children. A restrictive environment forced him to hone his skills of observation from an early age, and these observations coupled with a vivid imagination helped to create the stories found within these pages. Parking in a Chevy Nova with her boyfriend and watching a Blue Ridge Mountain sunset might be an unusual scenario for coming out, but that’s just what happens to Matty McEire. An aspiring singer-songwriter, she begins to explore her new identity by visiting the only gay bar in town, a dark, seedy hole-in-the-wall. There Matty begins to connect with other like-minded women to create lesbian community outside the bar. 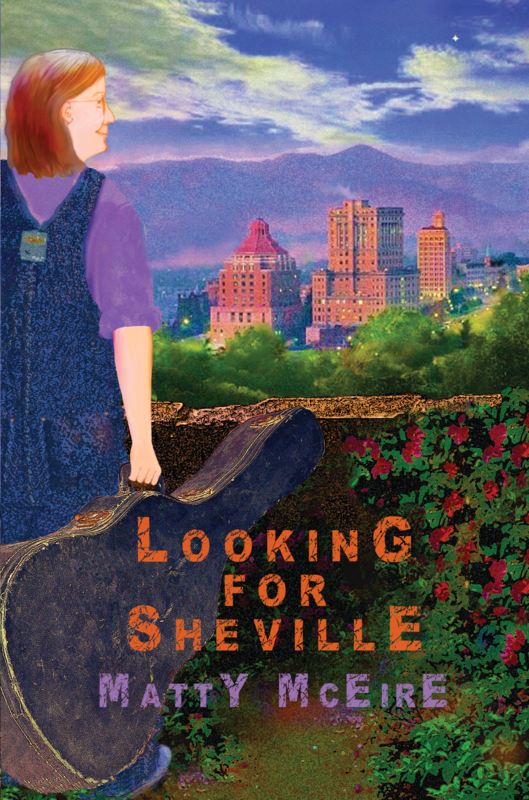 Looking for Sheville, published by Dog Ear Publishing, is a personal look at the early formation of the now thriving lesbian community in Asheville, North Carolina. When Matty comes out in the 1970s, gay liberation is a young movement, which Matty begins to explore, experiencing the first Southeastern Gay Conference, early women’s music festivals, the first National March for Lesbian and Gay Rights, and more. Her explorations inspire her to share the newly emerging lesbian culture with her own growing community. Author Matty McEire, a singer-songwriter, librarian, herstorian, and writer, lives in Asheville. Morgan Feeney is a young Midwestern man who finds himself in the midst of a terrifying, confusing war on foreign soil. His friends and comrades are falling around him, and he is in constant danger of injury or death. As he fights to stay alive, he finds himself remembering fragments from his life before: his bullying father, his sad and defeated mother, and his epileptic seizures. When he is ultimately wounded, as he drifts in and out of delirium, he imagines he’s being cared for by a beautiful woman called Evangeline, who embodies his ideal of womanhood. Morgan awakes to find his dream woman doesn’t exist, and he’s left to deal with the aftermath of his injury and the news of the suicide of his best friend, Lansing Rhodes. Upon leaving the army Morgan returns to Montana, where he completed his basic training. He’s haunted by his memories of the horrors of war and he is diagnosed with neurasthenina , or shell shock. As he attempts to keep his demons at bay and carry on with a normal life, he finds himself attracted to a young woman named Genevieve Richards, who worked as a nurse in France. Genevieve is beautiful and, as a witness to the terrible sights of the battlefield, has a unique understanding of Morgan’s pain. However, Genevieve has scars of her own, and secrets from her past threaten to upset the delicate happiness she and Morgan find together. Will they be able to overcome their collective problems? Will Morgan’s ghosts be put to rest at last? 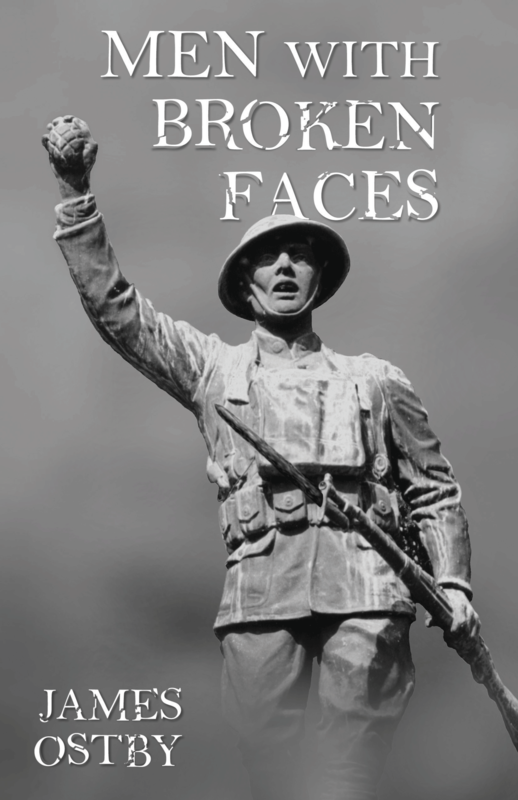 Men With Broken Faces, published by Dog Ear Publishing, is a sympathetic portrait of an average man attempting to overcome the horrible trials of wartime and live a normal life. Author James Ostby spent some time as a personnel psychology specialist in the mid-‘60s, which surely gave him insight into the psyche of a shell-shocked soldier. Ostby has worked in public and commercial television, and owned and managed a small radio station in Wyoming. In 1977, Ostby and his wife, Donna, returned to his family’s homestead in Montana to raise their two daughters. Now retired, Ostby and his wife spend their summers in Montana and the rest of their time on their blue-water sailboat based in Florida. Children of all ages get a thrill when they meet Dancer, a polar bear who lives in Canada in the Arctic. This sweet-faced polar bear needs help. Temperatures at his home aren’t as cold as they used to be, and the ice is melting. When it’s cold, polar bears walk across the ice to find seals. They can walk for a long time but can’t swim as far. If the sea ice disappears, they won’t be able to hunt for food, putting the already endangered bears further in jeopardy. Dancer Under the Lights, published by Dog Ear Publishing, puts the issue of global warming in terms even young children can understand. The author urges people to help, doing such simple things as car pooling and following the “three R’s” – reuse, recycle and reduce. Delightful illustrations by Anthony Sacco enhance the book, as do fun facts about polar bears. For instance, newborn polar bears are about a foot long, and adult bears can grow to 10 feet tall. They also love the cold; they can survive when the temperature reaches 50 degrees below zero. Adults and children can read this story together, learning about the majestic polar bear and how anyone can help them. Author Joe Sacco was a science teacher and principal in Maryland. He now is associate director of education for Friends of the National Zoo in Washington, D.C. A trip to Churchill, Canada, and a meeting with a bear named Dancer inspired this book. 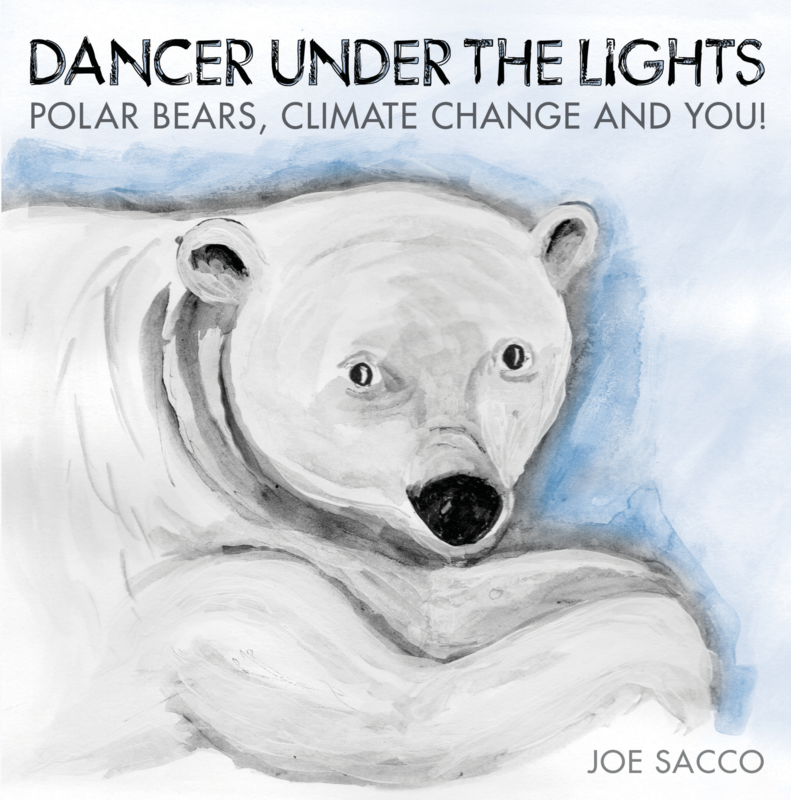 Dancer Under the Lights: Polar Bears, Climate Change and You!